A total of 31 drivers, in 9 cars, competing in 4 categories entered the inaugural GT Radial x 4 Oras ng Pilipinas last June 4 at the Batangas Racing Circuit. It was a day blessed with clear, sunny weather that saw a lot of on-track action with the #6 BMW-AutoPerformance M3 taking the FM1 Class and overall victory. Organized by the Philippine Endurance Challenge (PEC), it was a different machine that dominated qualifying on Saturday. The #5 Parts Pro Racing Honda Civic set a blistering 1:57.159 lap with Formula 3 driver Tyson Sy behind the wheel, putting them on pole for race day. This was 1.894 secs quicker than BMW-AutoPerformance’s best time who lined up P2 on the grid. Behind them was the #1 Smart Fuels Honda Civic in 3rd spot. This, however, was all just a formality as anything can still happen in a span of 4 hours of racing. And at noon on Sunday, lights officially turned green. All cars made it through the start safely, but the first casualty of the day would come after only 15 minutes. Geoff Aguisanda and Don Freu’s race ended prematurely when their Smart Fuels Honda Civic suffered an engine failure, prompting a brief safety car period. Tyson Sy and Paul Henderson Perez would hold onto the lead as the race resumed. Parts Pro Racing clearly had the fastest car on track and looked to be on route to an easy win. But their more frequent pit stops allowed BMW-AutoPerformance to lure them in by the hour. As for the other teams, this simply was their opportunity to learn how to do proper driver changes and refueling in preparation for the full-on 8 Oras ng Pilipinas later this year. There were also other battles brewing down the field. The pair of KYB Toyota Yaris were heading the way in FM2 Class with the silver #9 car of Steve Travers, Gay Dela Merced, Sherwin Bargos, Ryan De Lara, and Mars Ocampo taking 1st place in class at the end of 4 hours. Covering 97 laps and 2 laps less than their teammate, the black #7 car shared by Robert Tan, Edward Dela Rosa, Andrew De Asis, Robbie Alvarez, and JC Baguisa earned 2nd. This gave Team KYB the team category win with their combined efforts. Team Carmudi’s #10 Honda Civic then the took the last podium spot in 3rd with John Diego, Ron Catindig, and Bubi Camus completing 84 laps. They picked up another 3rd place finish in FM1 after the #2 Team ATA Honda Civic of Jonathan Nazareth, Deejay Rabara, George Jocson, and Mark Castro suffered a DNF in the closing stages of the race. Team BRP never gave up despite losing almost an hour in the pit to repair an engine mount. 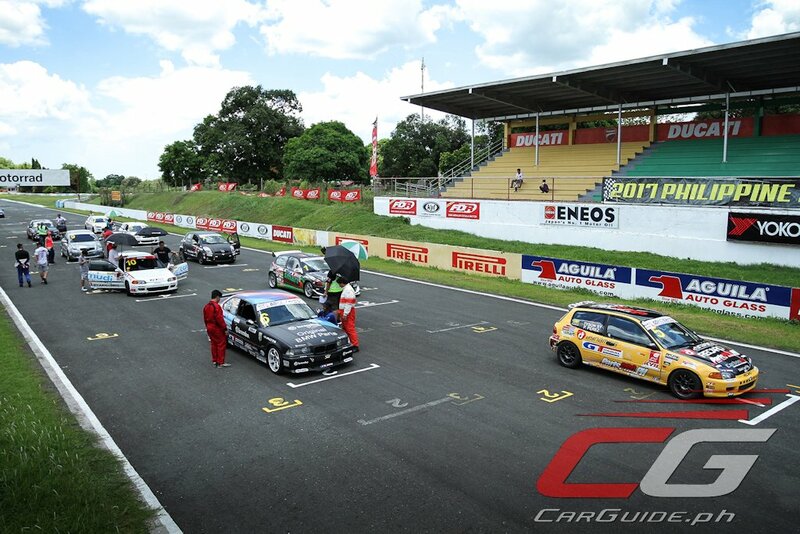 Pepon Marave, Charlie Cruz, Marvin Herrera, Frank Sauceda, and Michael Apacible would eventually finish the race 4th in class with 68 laps. With a more efficient pit strategy, BMW-AutoPerformance was able to move up to the overall lead by the race’s halfway point. Parts Pro Racing responded by increasing their pace and were within striking distance with an hour to go. But all their attempts to pass were successfully defended by the BMW M3 E36. At exactly 4:00 PM, Francis Aguila, Stefan Ramirez, and Enrique Hormillo crossed the finish line 1st overall. The #6 BMW-AutoPerformance M3 covered 108 laps in total, or 400 km non-stop, on a single set of GT Radial SX2 tires. Parts Pro Racing was a lap down in 2nd overall and FM2, while the #3 Centrum-Rainbird of Al Canete and Katherine Lim collected a well-deserved 3rd place. The retirement of the Smart Fuels Honda Civic also allowed them to win in the RP Class. With this event’s success, expect a bigger grid at the GT Radial x 8 Oras ng Pilipinas on November 25/26 also at the Batangas Racing Circuit.